My idea of a good Christmas has changed somewhat since becoming a mum. I’ve never really enjoyed Christmas before as it’s seemed too much like forced happiness and about keeping up appearances. However, now, with a two year old and a six month old, I’m very much looking to get into the spirit of things to make sure they have a very different experience of Christmas. Sitting down to write what my healthy Christmas Wish List would look like seems rather indulgent and at first, I was pretty sure that there would only be a handful of things. But then I got into the swing of things! This year, my Christmas list consists of some very wishful thinking and a mix of items. I’ve got enough ‘stuff’ at home, so everything which is on here is pretty practical or functional. I’ve learnt that experiences mean so much more than things, especially if they’re experiences which advance my learning. I’ve only used these a handful of times at the gym (I was a member of Fitness First for a good seven years solid when I first moved to London. This was before I realised that I was actually only going to the gym for the banter and friendships I made, rather than to do any exercise) but I’ve loved them. 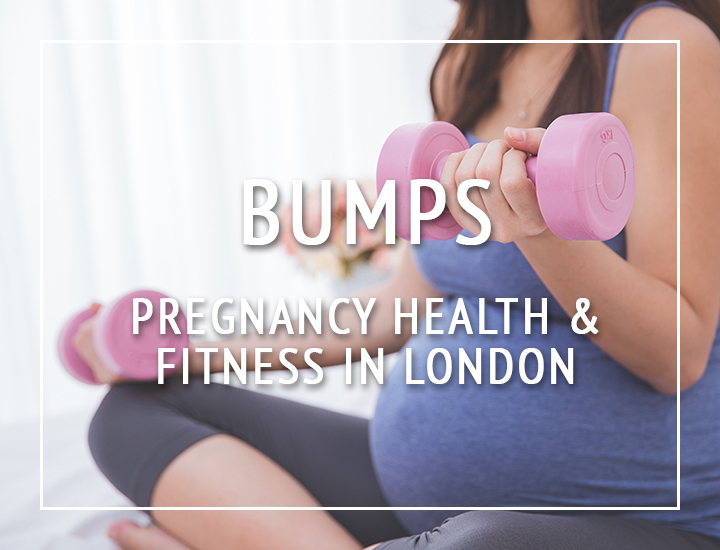 And as a personal trainer, I’d LOVE to have these in my client kit – they’re incredibly versatile, fun to use and perfect for my pre and post-natal mums as they weigh approximately the same amount as a newborn. The 4kg Vipr is the lightest Vipr you can buy and costs from £100. After having seen Alex’s transformation post on Instagram and having followed Roar Fitness for ages, I really really want to pin down my own fitness. My body has changed so much since having two babies fairly close together and I feel like I’ve done the hard graft and work on repairing my body with pilates-type exercise and am now ready to lift some heavier weights and look at fat-loss. I love that everything is monitored so closely, from the type of exercise and weights your body can handle to your nutrition. They check body composition and do a movement analysis too. It’s pricey but from what I’ve seen, if you’re looking to make big changes, then it’s worth it. Roar Fitness offers either 8 or 12 week options and prices start from around £2,200 but if you’re interested, they offer a free 30 minute consultation first. I speak with a lot of mums about the benefits of soft tissue massage for C-section scars and it’s an area which really interests me. So much so, that I’d be interested in a massage qualification to get me started. I know it’ll be a commitment but it’s something which will greatly increase my learnings and ability to serve my clients. There are some introductory day courses available and also longer, more in-depth qualifications, such as this one from the London School of Massage. I also liked the look of the North London School of Sports Massage. I was going through some drawers the other day and I found my ‘skate-boarder’ belt – a belt made from an old car seat belt. You know the ones! In my heyday, I always wanted to be a skater but whilst I attempted to dress like one (think baggy jeans, ‘that’ belt, slouchy beanie etc etc), I just didn’t have the skills. I’m never going to be ‘cool’ (and quite frankly, I’m happy with that) but I’d love to be able to get the basics of skateboarding down. And do that flippy thing where you catch it. Skate-boarding lessons as a Christmas present would be perfect for someone who likes something a little different. I’ve no idea where I’d do it but BaySixty6 and Skates and Ladders look good. I started knitting a year ago with Cassie from Heroic Knitting and whilst I don’t think I’m particularly good, it’s my meditation. I love it. I can lose myself in knitting and best of all, I’m continuing to learn AND I’ve made something (ok, so it may look a little wonky or have extra holes where there shouldn’t be holes…) – an actual real physical something. Even though I suspect Knitting Kits to be a bit of a rip-off, they take the hassle and confusion out of making something which is likely to actually look decent at the end. If you know someone who’s crafty and needs an excuse to just chill out for a bit, then this could be a fantastic alternative Christmas present. I particularly love the Stitch & Story Miffy Kits, as well as the We Are Knitters ones, especially this chunky knit Nolita jumper. I’ve tried one kit so far, the Miffy kids’ hat, and I was proud at how it turned out – it made me think I could actually knit! The last three years, we’ve not had turkey for Christmas. I’ve had fish twice and last year, celebrating with my sister who’s vegan, we opted for an assortment of vegan food cooked for us by Susie of Gourmet Glow. Ok, so we cheated, but quite honestly, Christmas is stressful enough without having to rustle up new dishes. I’ve eaten less and less meat as the years have gone by, including fish, and I now don’t enjoy it when I do. I would love more people to consider a veggie Christmas and to place turkeys’ lives higher than their tastebuds. My family have never been sticklers for conventional tradition and I think more and more people are shunning convention for more ethical options. There are so many interesting veggie recipes around now, such as this ‘scallop’ starter. Another very practical gift! I teach my indoor Mums & Babies fitness sessions in barefeet and encourage my students to do so too but winter is coming and my feet are getting cold! Plus, no one takes me seriously when I’m wearing my socks with cat faces on… I love that these look good and have much-needed grip. I’m pretty sure anyone who does Pilates or yoga would love these. One of our writers, Hannah, went to a Gut Stuff event where BioMed was involved. As a sufferer of eczema and appreciating that there’s more and more research prioritising gut health as a factor for overall general health, I’m keen to find out more about my microbiome and how I can improve its health. Ideally, I’d also do this for my toddler too as there are some food which he eats which gives him the stinkiest poos! The Atlas Microbiome test costs £139 and requires you to ship off your poo in the post! A bit of a strange Christmas present but then you’re giving the gift of better health. Which can’t be a bad thing! I imagine lying on one of these would be a little like lying on the lego my toddler likes to scatter about the living room. Not fun. Yet, everyone I’ve spoken to has said that they’ve been helpful in relieving muscle tension and reducing stress. Part of me wonders if this is because you’re so happy to get off the damn thing after 10 minutes because it’s so painful… But I’m a sucker for anything which will help relieve tension and people claim to feel results after 10-20 minutes which is a lot less time and money required than for a massage. This popped up on my Instagram over summer and I keep thinking it would be an interesting read. I follow Ross on Instagram and I like his to-the-point narrative. The book claims to be your ‘go-to resource for learning all you need to know about building muscle, losing fat, eating (healthy) cake and unlocking your superhuman physical potential’. Yes please! It’s the perfect present for anyone who’s interested in fitness. What do you think of my Christmas list? Did it give you any inspiration for friends or family? If you’ve got any other suggestions for me, then I’d love to hear! This post contains some affiliate links. This website is run on the love of going to events, trying out new healthy stuff and eating delicious food. We don’t accept payment for reviews so we can write whatever we want and any money that we make from affiliates goes towards keeping this website going so please support us!